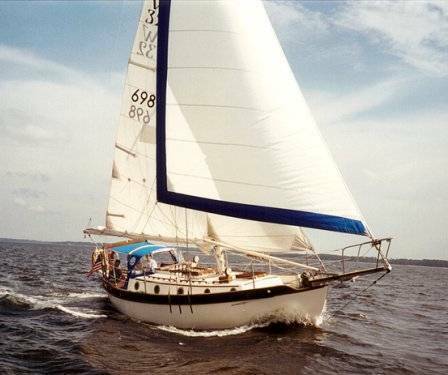 Said to be based on the THISTLE design from William Atkin and adapted for fiberglass by William Crealock for Kendall Yacht Corp.(1967). 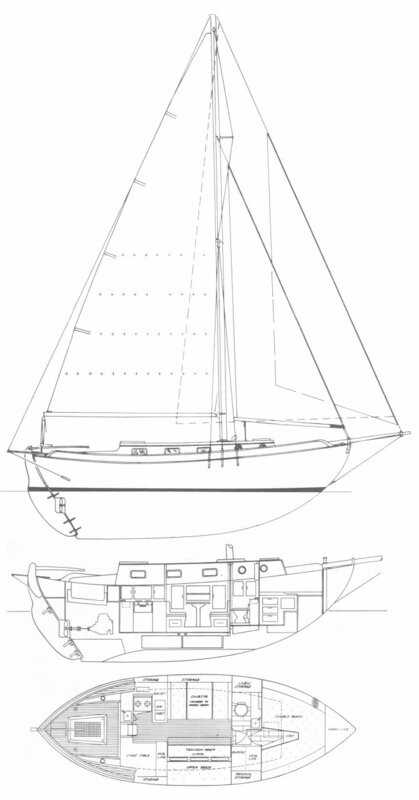 An earlier design, the KENDALL 32, has a flush deck. Westsail added the trunk cabin. Of the (approx. )830 hulls built, some 400 were sold as kits or bare hulls. As would be expected, rig dimensions, ballast material and other details vary.